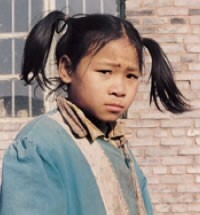 Overview: The Min Dong-speaking Han Chinese of United States, numbering 3,000, are No Longer Unreached. They are part of the Chinese people cluster within the East Asian Peoples affinity bloc. Globally, this group totals 10,313,000 in 2 countries. Their primary language is Min Dong Chinese. The primary religion practiced by the Min Dong-speaking Han Chinese is defined as "Non-Religious", a term encompassing varieties of unbelievers ranging from indifferent to militantly hostile toward organized religion.